"your way to the telecommunication world"
5- Supply and installation of rooftop poles, Monopoles, lattice towers and camouflaged towers. Inteltec provides site acquisition (SA) services to telecom operators and other customers (governmental applications’ submission and follow up) as a part of its services portfolio and its experienced site acquisition team has acquired an extensive numbers of sites for its customers. •	Study the sites’ design milestones based on customer’s sites process flow, and reflecting forecasted and actual dates. •	Perform investigation in the market during and after sites’ design time to meet with customers requirements. •	Study the project specification’s and its initial issued plan in order to start ranking the candidates plan for each site. •	Perform all initial surveys for all candidates in order to be in conformity with the project objectives. •	Finalize lease agreements with landlords in order to obtain rooftop GSM sites. •	Secure all required approvals and permits for sites’ locations from municipalities. •	Solve all problems with landlords, official authorities and any problems which may face other concerned departments. Road No. 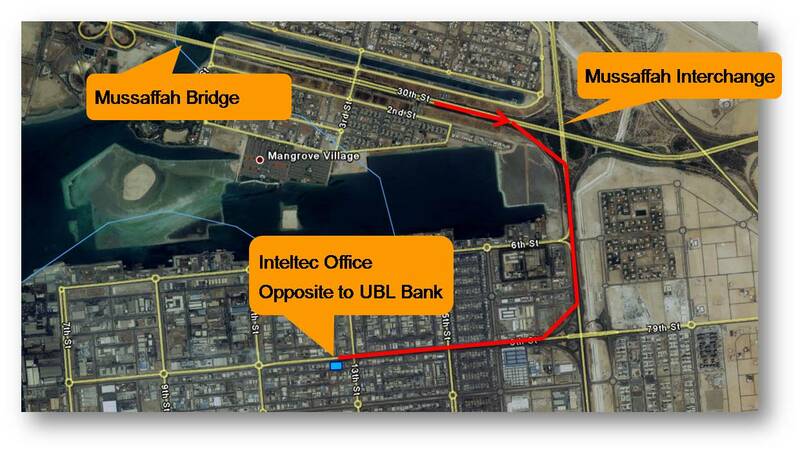 13, Opp United Bank Ltd, Abu Dhabi – U.A.E. © 2009 www.inteltec.ae- all rights reserved. The Inteltec logo is a registered trademark of Inteltec LLC.